Andreasens Green combines 150 acres of nurseries to service orders of any size. We maintain high level stocks of the most commonly used species, with 5,000– 10,000 units of each, ready for delivery at any time. Large quantity and difficult delivery requirements are all part of the service. Bred by the Plant Breeding Institute of The University of Sydney, Country Lights is quick to grow and provides early and continuous colour. 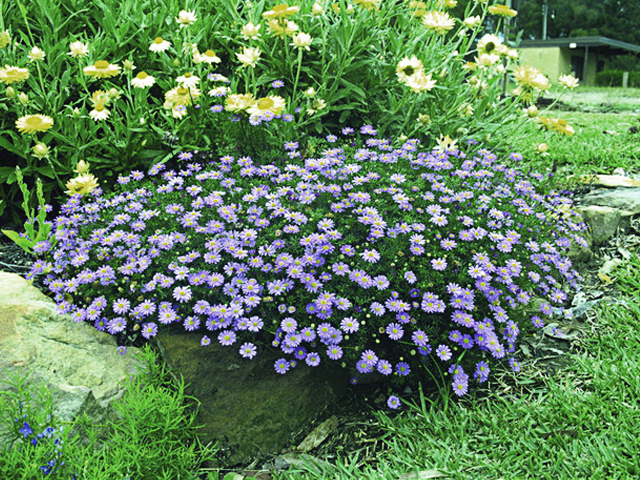 Country Lights will brighten any area with its yellow centred purple flowers on dark green to glaucous blue foliage.